A Colorado lawyer pleaded guilty Thursday to obstructing justice by leaking secret grand jury documents to two reporters covering the government's probe of steroids in sports. Troy Ellerman could be sent to prison for as long as two years and fined up to $250,000 for the convictions. His sentencing was scheduled for June 14. The 44-year-old Ellerman also could lose his license to practice law. He entered the plea in U.S. District Court the day after federal prosecutors announced he struck a deal that would prevent two San Francisco Chronicle reporters from going to jail for refusing to divulge their source. Prosecutor Douglas Miller said the plea concludes the government's investigation of the leaks and the subpoenas of the Chronicle's Mark Fainaru-Wada and Lance Williams were withdrawn. In court papers filed Wednesday, Ellerman said he allowed Williams and Fainaru-Wada to view transcripts of the grand jury testimony of baseball stars Barry Bonds, Jason Giambi, Gary Sheffield and sprinter Tim Montgomery. Eve Burton, general counsel for Hearst Corp., which owns the Chronicle, would not confirm or deny that Ellerman was the source of the leaked documents. The reporters also declined to discuss their source. Ellerman, of Woodland Park, Colo., briefly represented Victor Conte, the founder of the Bay Area Laboratory Co-operative, the Burlingame-based supplements lab that allegedly provided performance-enhancing drugs to the elite athletes. He later represented BALCO vice president James Valente and that's when he obtained transcripts of the athletes' testimony from federal prosecutors. "I find the fact that Troy Ellerman has admitted to leaking the BALCO grand jury transcripts to be outrageous," Conte said in an e-mail to The Associated Press. Ellerman signed agreements with prosecutors and was under court orders to keep the grand jury testimony confidential. Ellerman even made a motion in October 2004 to dismiss the case against Valente because of "repeated government leaks of confidential information to the media." Deputy Attorney General Paul McNulty said Ellerman's behavior was an "abuse of our system of justice." "Such gamesmanship undermines the integrity of the legal system and demands accountability," he said. Valente, Conte and three other men have pleaded guilty to steroids-related charges in an earlier phase of the investigation. 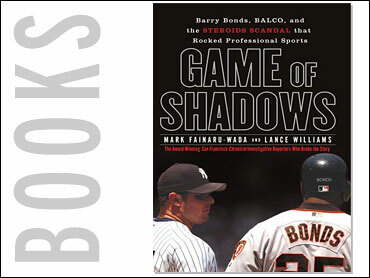 The Chronicle published stories in 2004 that reported Giambi and Montgomery admitted to grand jurors that they took steroids, while Bonds and Sheffield testified they didn't knowingly take the drugs. Shortly after the first leak in June 2004, Judge Susan Illston ordered an investigation. Ellerman and all lawyers in the case filed statements under penalty of perjury swearing that they weren't the source. Prosecutors said a "previously unknown witness" approached the FBI and offered to help prove that Ellerman was the source. Larry McCormack, former executive director of the Pro Rodeo Hall of Fame and a private investigator who briefly worked for Conte, told the AP on Wednesday that he tipped off FBI agents. McCormack said he shared a Sacramento office with Ellerman and that Fainaru-Wada visited there several times in 2004. McCormack said Ellerman told him about the leaks. In February 2005, McCormack moved to Colorado Springs, Colo. to work for Ellerman, who then served as commissioner of the Professional Rodeo Cowboys Association. The association's board of directors fired McCormack in August, but he said Ellerman tried to save his job and his decision to call federal investigators and expose the lawyer had nothing to do with his firing. "My concerns were whether I could be in any kind of criminal jeopardy," said McCormack, a former Yuba County sheriff's deputy. "Another thing that was bothering me was that the government was spending all of this money on the investigations and these reporters are looking at going to prison — it ate me alive." Shortly after McCormack was fired, he said he wore an FBI wire and had a "heated conversation" with Ellerman in which the lawyer made incriminating statements. McCormack declined to discuss the details of that conversation. San Francisco U.S. Attorney Kevin Ryan said the plea deal should end speculation that his office was a source of the leaks. "I've maintained from the beginning that neither the agents nor the federal prosecutors involved in the BALCO case were the source of any grand jury leaks," he said. Besides Conte and Valente, chemist Patrick Arnold, Bonds' personal trainer Greg Anderson, and track coach Remi Korchemny have all pleaded guilty in the BALCO probe. Korchemny and Valente were sentenced to probation and the others were each sentenced to jail terms no longer than four months. Bonds has never been charged but suspicion continues to dog the San Francisco Giants slugger as he chases baseball's career home run record. He told the grand jury he thought Anderson had given him flaxseed oil and arthritic balm, rather than the BALCO steroids known as "The Clear" and "The Cream." A federal grand jury is investigating him for possible perjury and obstruction of justice charges.